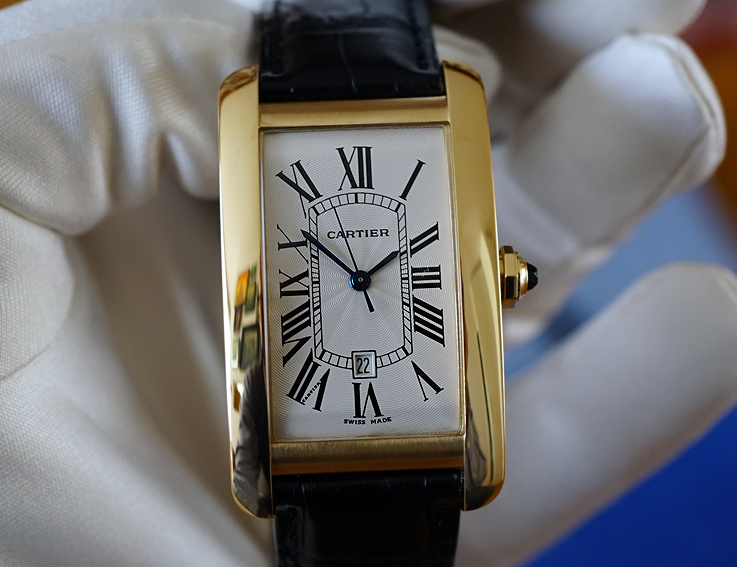 ‘The Power of The Tank Americaine’ is the first of a series of short articles about the newer Tanks; the Tanks without history created by Cartier Paris after 1985. 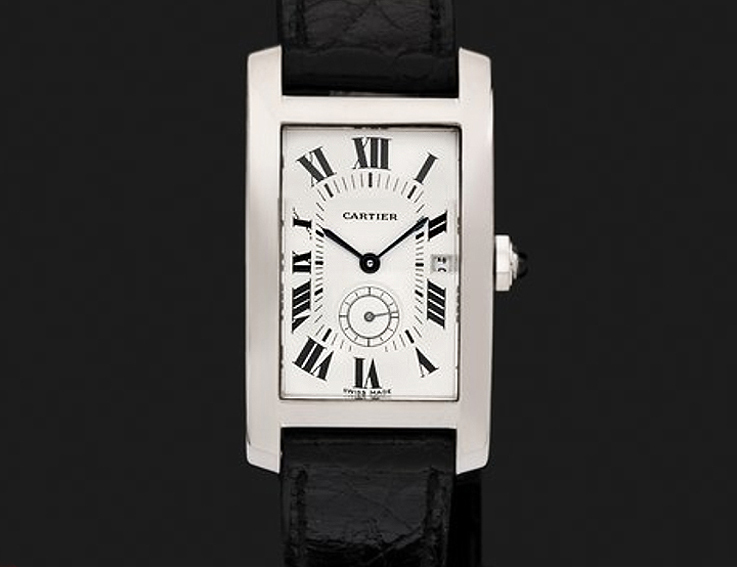 Cartier has designed a series of amazing Tank watches in the period 1917-1935. These vintage Tanks are adored by collectors and are often seen as the ultimate Tank watch to have. I have nothing against pieces, like for the Tank Cintrée, Tank Chinoise or Louis Cartier Tank, that are all simply amazing. 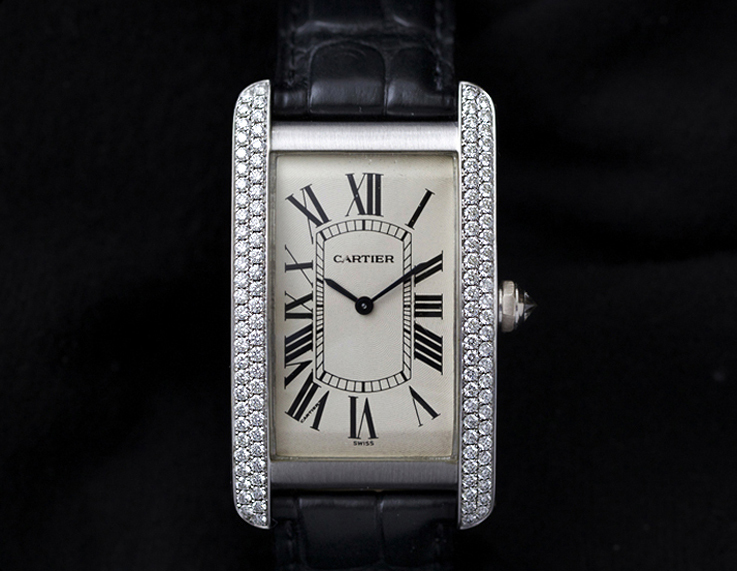 But if there is one newly created watch that comes very close to the beauty of these vintage watches, it is without any doubt, the Tank Americaine that Cartier Paris created in 1989. An early example of these watches at auctions, cannot be found, since they simply don’t exist, even the name Tank Americaine, was newly created and never used before. Still, this watch has all the charm of an early piece, since it can be seen as a modernised version of the rare Tank Cintrée, the popular dress Tank that became a bit too elegant for the man of the eighties. The Tank Americaine had that same slim and curved look, but was definitely more butch and masculine, with its wider case. The first two Tank Americaine watches that were released, were not too large, one model came with a sub seconds at 6 o’clock and the other one with a moonphase. 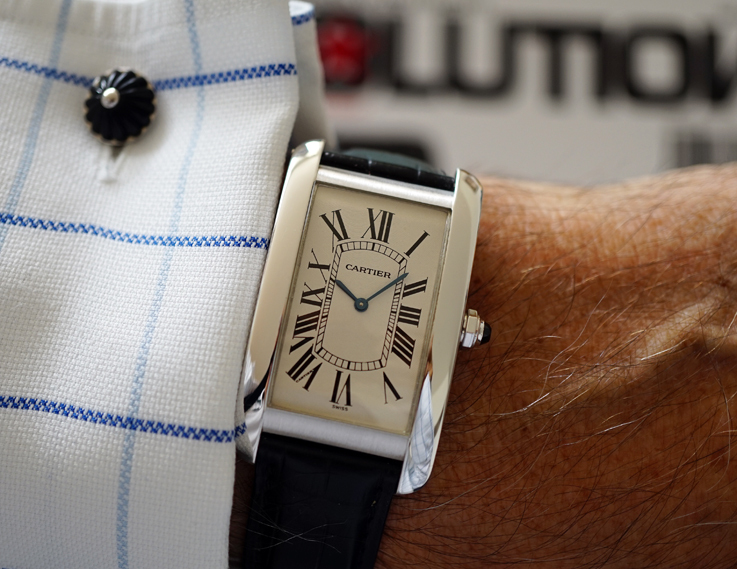 Both timepieces had quartz movements, but none of the two created a craze. 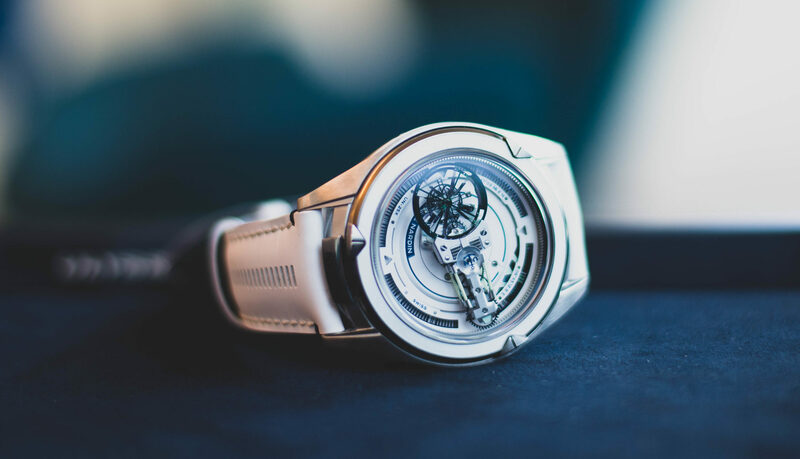 The wow factor came in 1993 when the large Tank Americaine with the mechanical 430MC movement was globally launched in yellow- and in white gold. It was for that time a large watch, with an impeccably clean vintage looking dial, without a date window and third hand. At that time Tanks were about 33 x 25,5 mm and the new Tank Americaine measured a hefty 44 x 26,5 mm, a size that’s now accepted as ideal. 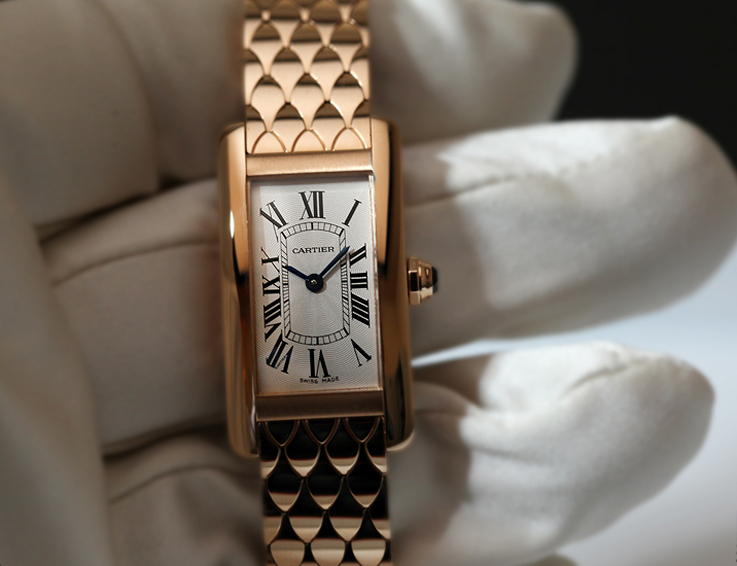 For Collection Privée, Cartier Paris, the watch was re-released in 1998, in yellow gold and in platinum, in exactly the same case, same movement but…… with Paris underneath the brand name. Quite a winner for collectors. But why do things the hard way; an automatic version with date window and hand for the seconds, followed soon after and still sells very well, after all these years. …in a Tank Americaine XL case. 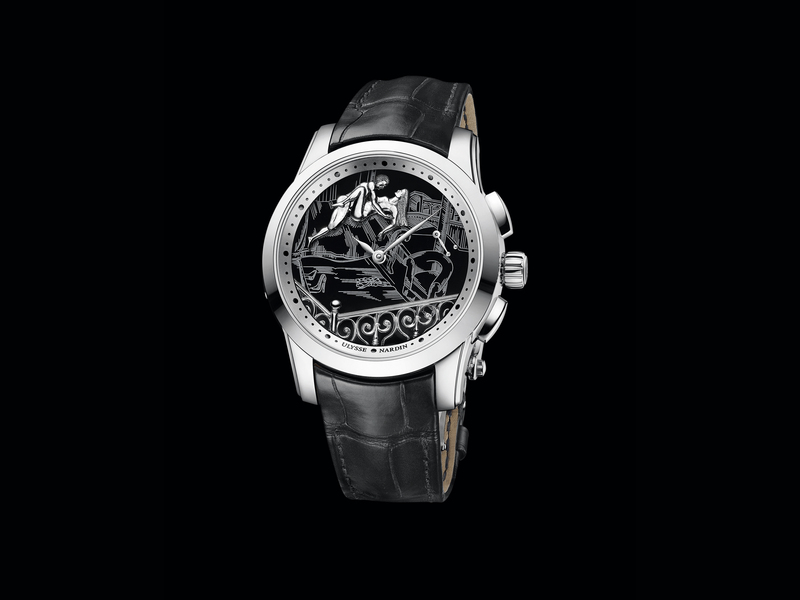 The result was a stunning and eye catching watch, that had fantastic wrist presence, especially in white gold. The dial was for a Tank watch completely new, with an open layer construction that features in most of the Fine WatchMaking pieces. ..that reminds me of the stunning bracelets, created in the early years. 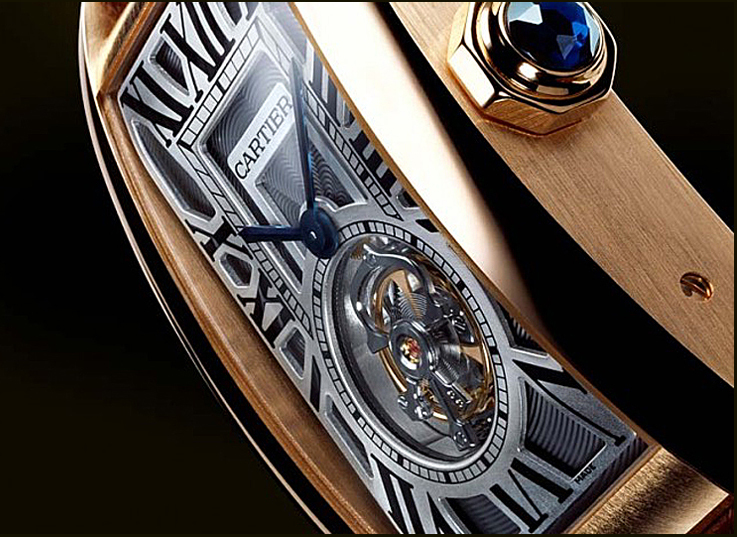 For now it is only available for the smaller models, but who knows how Cartier will surprise us next. 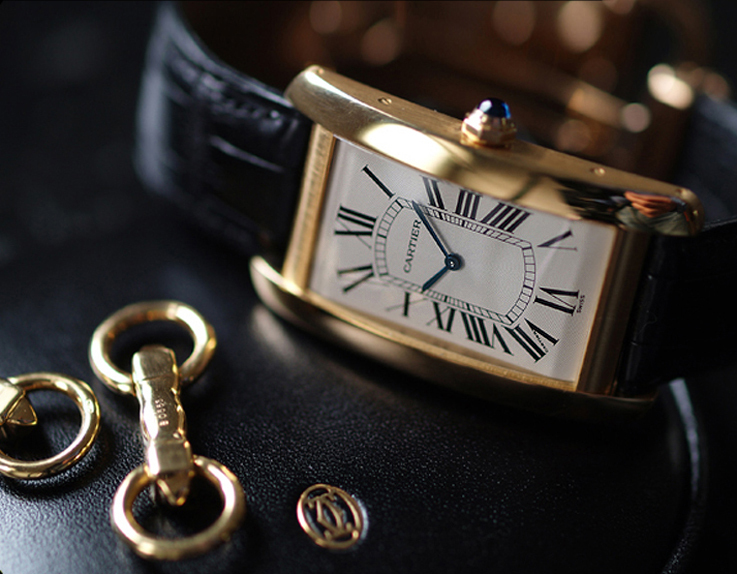 Typical facts of a Tank Americaine are; No steel versions, only available in the three colours gold and platinum, various movements, various case dimensions, limited editions and even dealer editions, no early or vintage models. So if you’re interested in a new- or pre owned Tank Americaine, prepare yourself well and eat your heart out at the Tank information page of Troisanneaux.